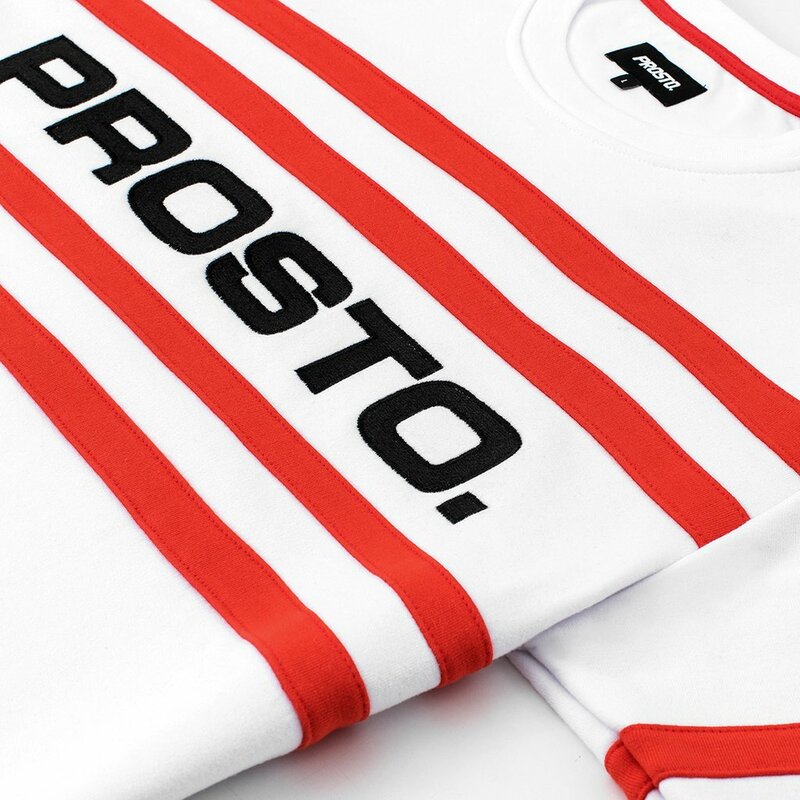 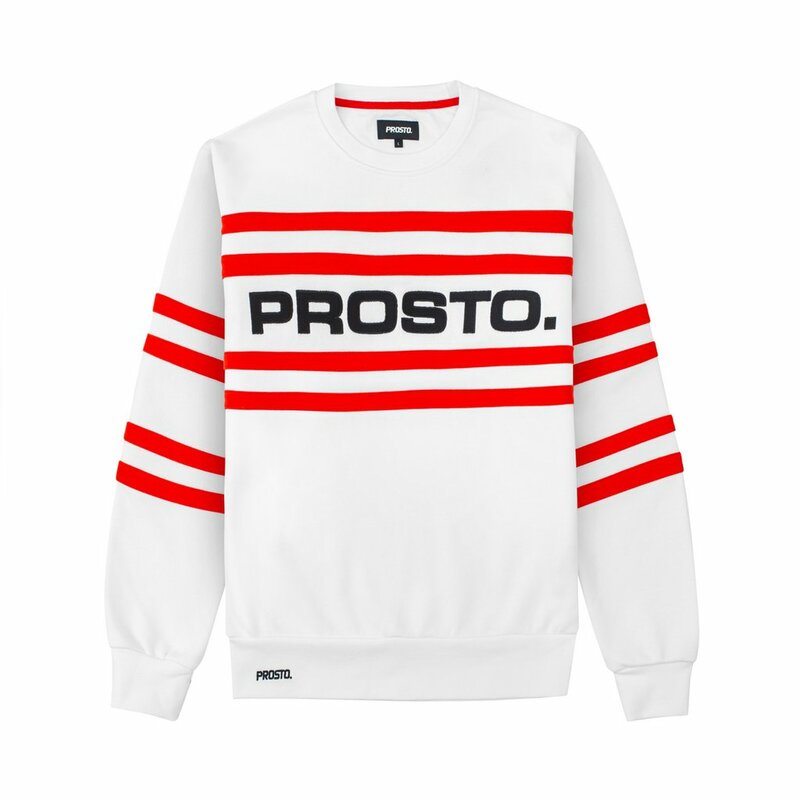 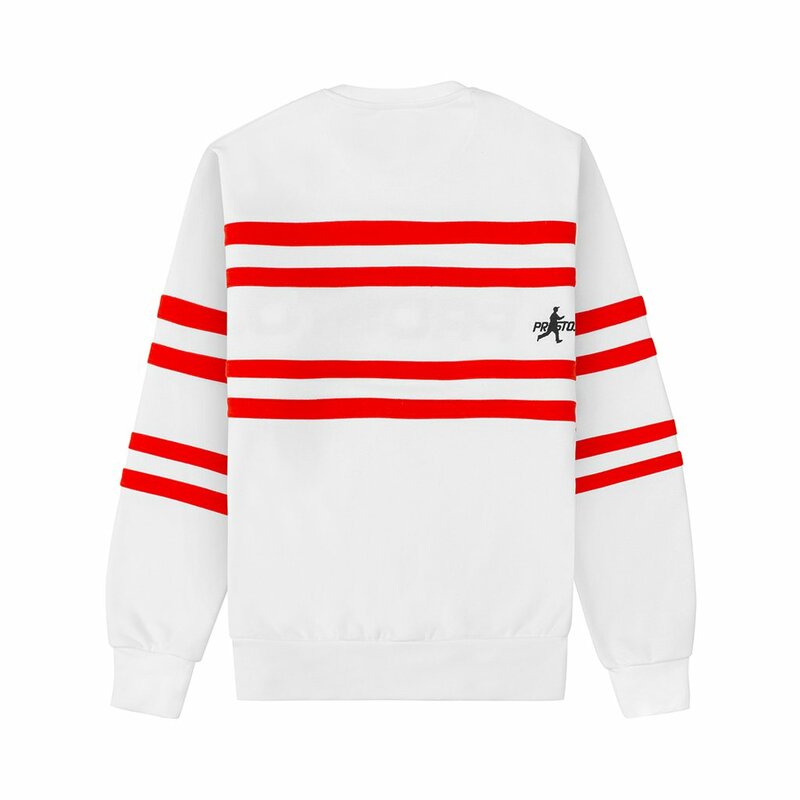 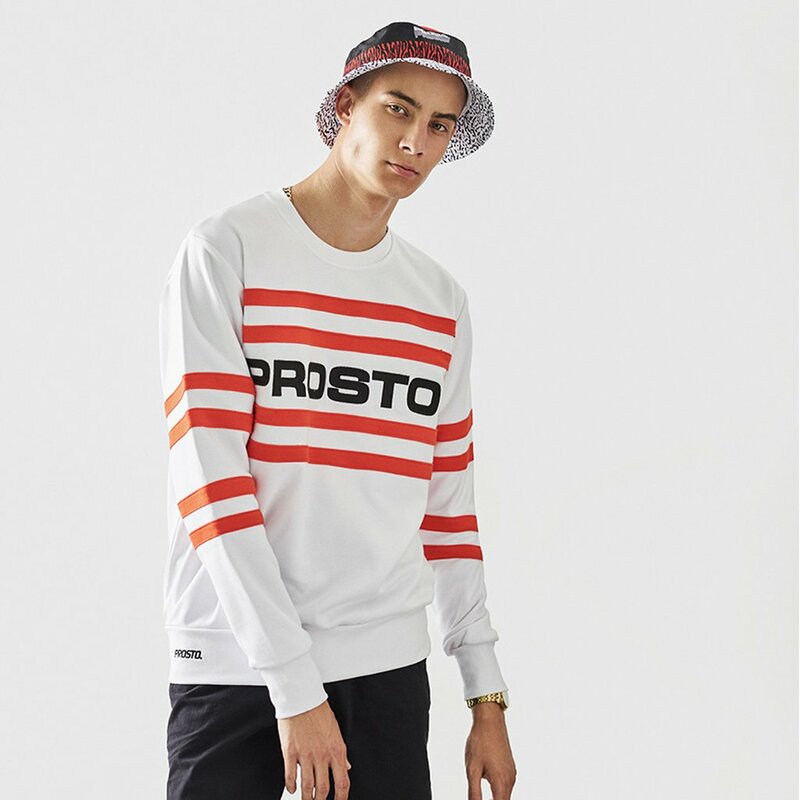 Men's Prosto crew neck sweatshirt featuring contrasting inserts on the front. 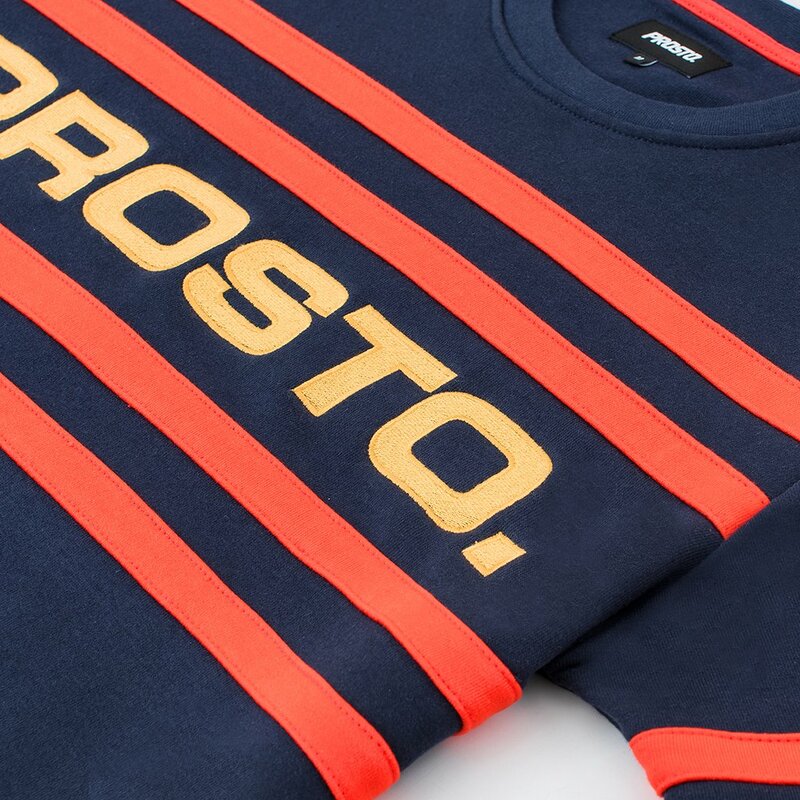 With large embroidered logo on chest. 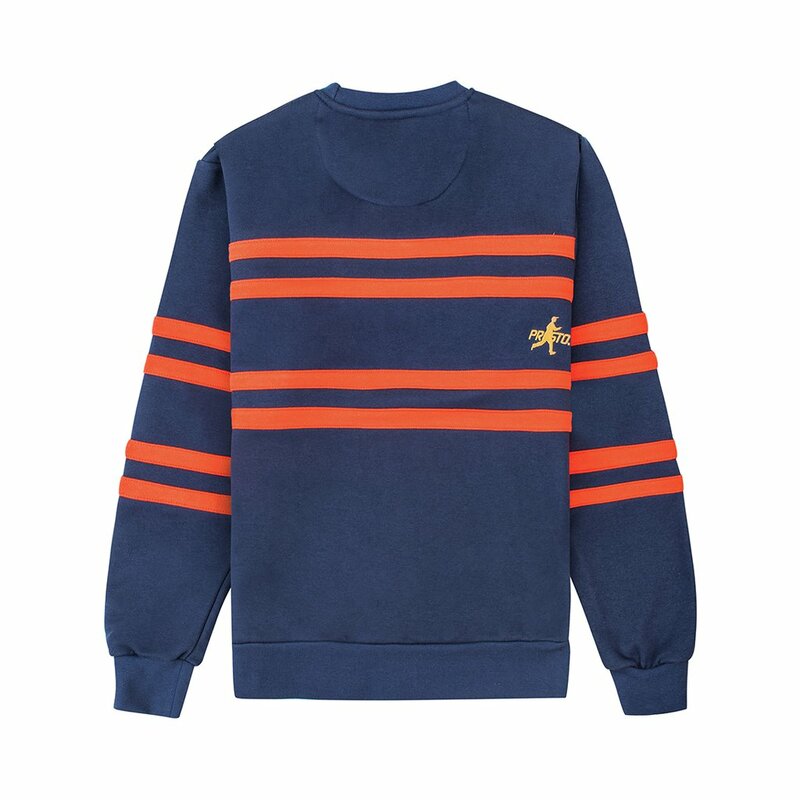 With embroidered embellishment on bottom ribbing.